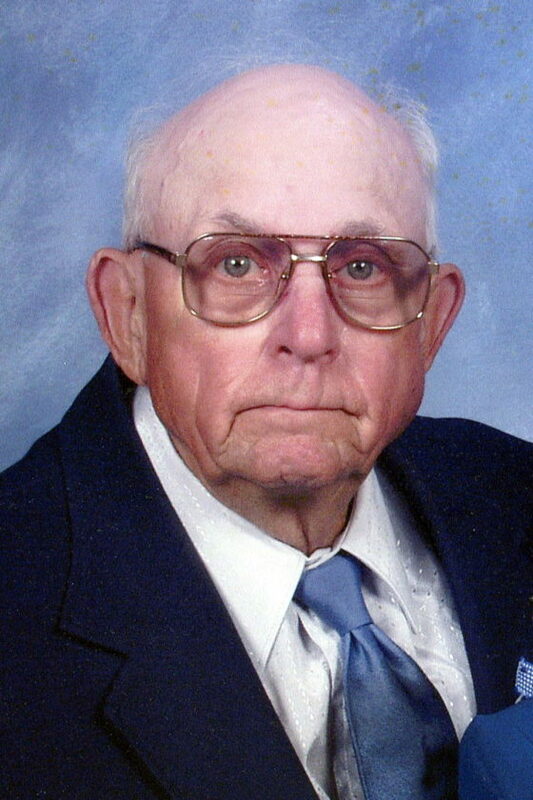 BUFFALO LAKE –Ervin Westphal, age 96, of Buffalo Lake, MN, died Monday, August 13, 2018 at his home. Funeral services will be Friday, August 17, 2018 at 11:00 a.m. at Zion Evangelical Lutheran Church in Buffalo Lake with Pastor Jackie Cook officiating. Burial will be in Preston Lake Cemetery. Visitation is Friday for one hour prior to the service at the church. Arrangements are with Dirks-Blem Funeral Service of Olivia. Ervin Edwin Westphal was born February 14, 1922 in Preston Lake Township, rural Buffalo Lake, MN, to Ferdinand and Bertha (Thiel) Westphal. He grew up on the family farm and attended District #130 country school. Ervin’s parents spoke German at home and after Ervin and his siblings attended school they taught them English. Ervin graduated from Buffalo Lake High School in 1941 where he had excelled at math, reading, geography and played the clarinet in band, as well as participating in school plays. He was a lifelong farmer, first with his family, and later on his own raising corn, soybeans, and grain. In his earlier years he had dairy cows and he really enjoyed farrowing pigs. Ervin had been the Preston Lake Township Assessor for 20 years. Ervin was a dealer for DeKalb from 1953-2018….yes 65 years selling corn, soybeans, alfalfa, and baby chicks. Ervin married Clarine Gass on October 30, 1981 at St. Mary’s Catholic Church in Bird Island and they enjoyed many years together until her passing. He was a member of St. Paul’s Lutheran Church in Hector for many years and later Zion Lutheran Church in Buffalo Lake. He looked forward to the annual trips to the resort at Sauk Centre where fishing was the focus. Anybody that encountered Ervin could attest to how much he enjoyed visiting, whether with his neighbors, customers, many friends, or when seeing residents at the nursing home. Ervin was blessed to spend his entire life on the same farm and he passed away there under the care of hospice August 13, 2018. Ervin is survived by his stepchildren: Mark (and Judy) Klemp, Nancy (and Greg) Muench, and Robin (and Donald) Scott; several step-grandchildren; his brother Alvin Westphal; and many nieces and nephews. Ervin was preceded in death by his parents; his wife Clarine Westphal; and his sisters Lillian Stark, Gladys Rush, and another in infancy.